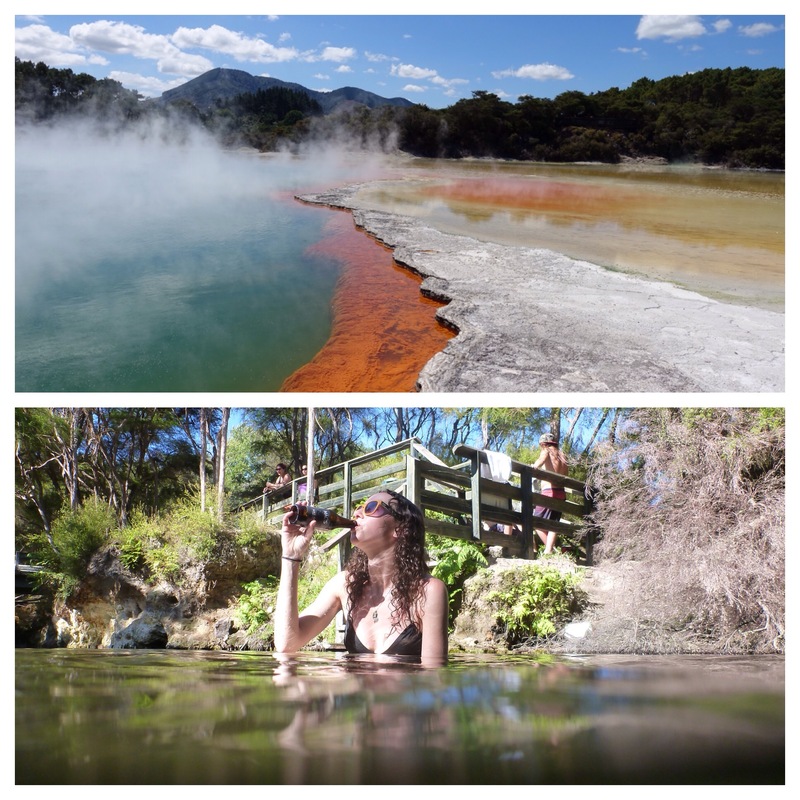 Every time we told a Kiwi we were headed to Rotorua, the response was unanimously, “yea, that’s a bit smelly, isn’t it.” So I rolled my car window down as we approached this little town built around the sulfur pools, just to confirm. It was smelly alright. 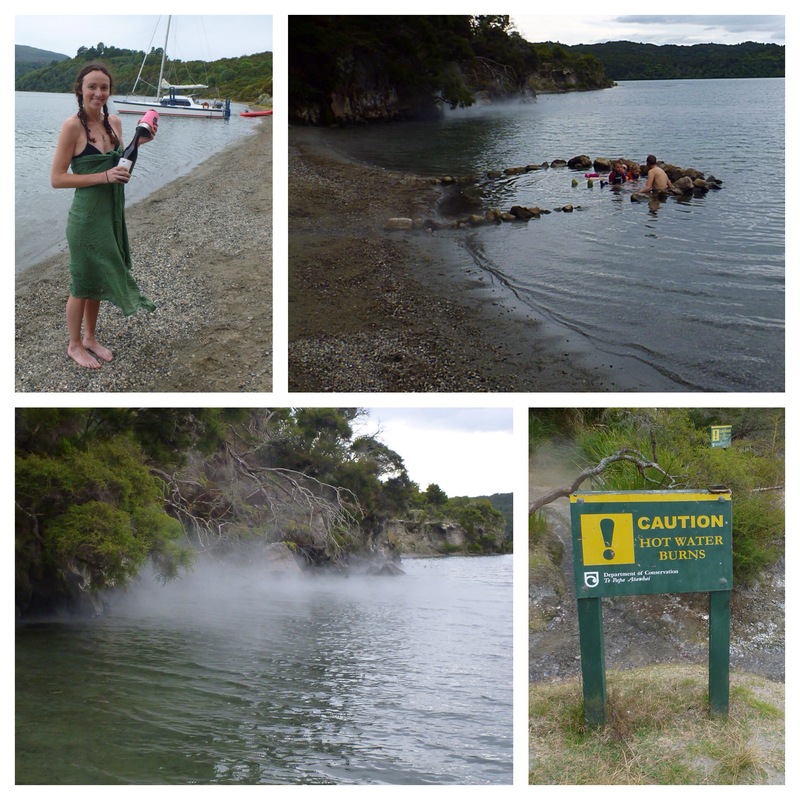 After spending a day exploring the Geothermal Wonderland and taking a dip in Two Streams (a convergence of two rivers: one piping hot, the other cold), we packed our bags for a one-night out-and-back tramp to Hot Water Beach on Lake Tarawera. Most people take a water taxi to this beach, so I imagine it can get a bit crowded there at peak times. 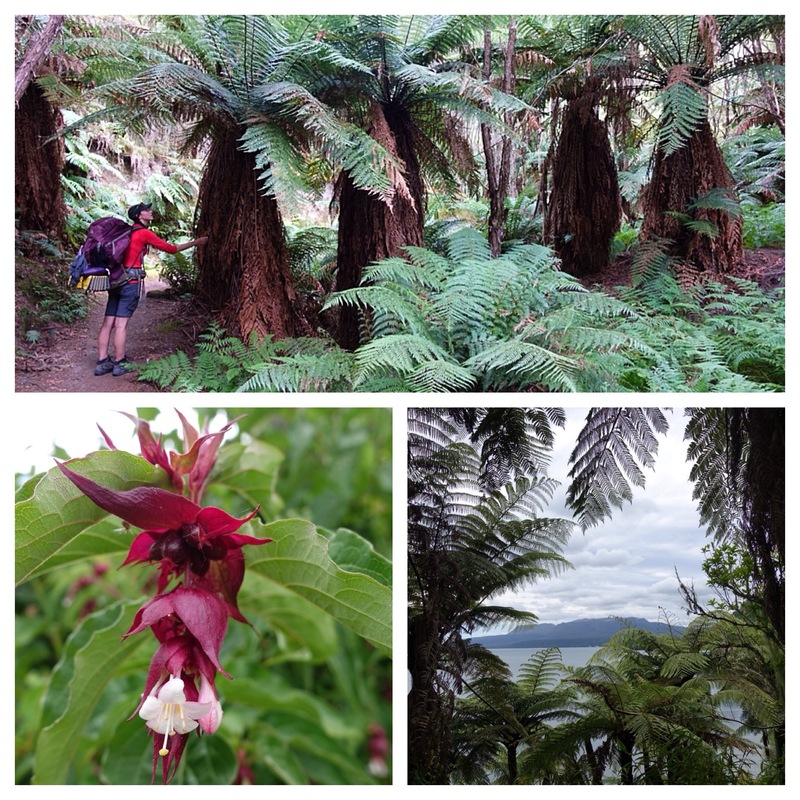 We, however, took the long way there: 9.5 miles (or 4 hours) through thorny brush and giant fern forest. 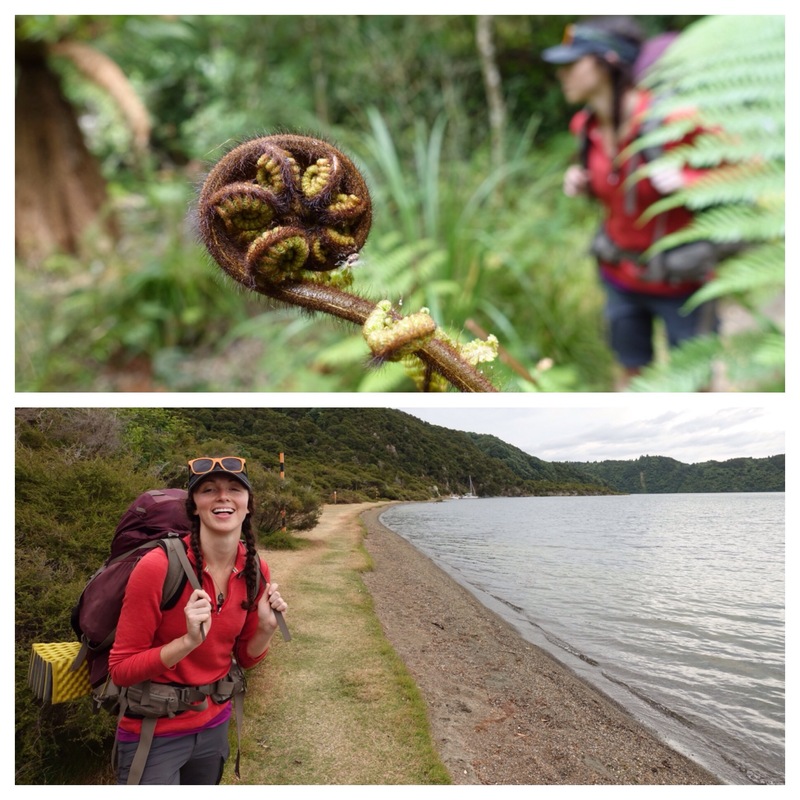 The trek itself is not worth writing home about, so to speak, so I won’t. All I’ll say is that the DOC should really reconsider how they define a “look out”. The beach, on the other hand was unlike anything I’d ever experienced before and totally worth the slog. In fact, I think it was made better by to having earn it after hours of hilly, brushy, humid walking through the noisiest woods I’d ever walked. (Supposedly it was mating season for the cicadas for something.) We arrived right as the last water taxi was taking the remaining tourists away. All that was left on the beach was us, a few other couples, and a family of black swans. For the rest of the evening we tiptoed around the hot sand and shoreline of the black stone beach, lay in the lapping warm waves, and soaked in the rock pool until our skin was so pruned it looked dangerously close to falling completely off our bones. The swans came to check on us from time to time as we marinated in the hot water, as if they were preparing a human stew to be served with the bread the campsite warden was feeding them by the loaf. When the sky began to darken, we finally removed ourselves from the warmth of the shallow water to make our own meal and enjoy the second bottle of wine we had lugged through the forest. Gorgeous photos! Do you use an auto setting or a manual shutter closure? Well done. I can imagine being a happy swan in that warm lake. First day back at work today! Great people, but lots of feels. It’s going to take some time.